Congress has no business approving government programs that neither it nor the public understands. Yet policymakers have repeatedly authorized surveillance activities without doing their homework. Over the eight years since enacting reforms to the Foreign Intelligence Surveillance Act (FISA), Congress has failed to gain a functional understanding of NSA Internet surveillance, and has never even considered its impacts on democracy. Until Congress legislates meaningful limits to curtail widespread, longstanding, and continuing violations of constitutional rights, the digital rights movement stands united in calling for FISA Section 702 to expire next year as scheduled. Authorizing an extension of the law before securing answers to several critical questions, and enacting real limits to prevent documented and predictable abuses, would be a gross abdication of Congressional responsibility. Congress should insist upon finally getting answers to its questions before considering any potential extension of FISA's expiring provisions. When Congress amended FISA, the public did not know how the NSA would use its new powers. On the one hand, the New York Times broke a major national news story about warrantless wiretapping in late 2005, as did USA Today in 2006 about the collection of phone call records. But the U.S. government denied those reports, leaving Congress in the dark when it enacted amendments in 2008. It took another five years for a whistleblower to emerge with irrefutable evidence showing how FISA powers have been contorted to pervasively spy on the Internet, including law-abiding Americans and users around the world. Downplaying NSA domestic surveillance as involving merely "incidental" collection of the communications of law-abiding Americans en masse, and ignoring concerns about back door searches that effectively target Americans, intelligence agencies continue to conduct unconstitutional domestic surveillance largely hidden from legislative and judicial oversight. After Snowden documented the NSA dragnet in 2013 (in a series of groundbreaking news articles whose three year anniversary passed this weekend), Congress enacted preliminary limits on domestic telephone surveillance in 2015 through the USA Freedom Act, while leaving the Internet unprotected. But the key law enabling Internet spying—FISA Section 702—is scheduled to expire at the end of 2017. A countdown clock posted at www.end702.com shows how much time remains down to the minute. As the statutory basis for the PRISM program and upstream collection, FISA must be the subject of further hearings to explore its full scope and impact on the Internet, the constitutional rights of Americans, and freedom of expression around the world. At a hearing last month in the Senate Judiciary Committee, Senators explored some basic questions also posed by members of the House. For instance, how many Americans have been subjected to Internet monitoring through programs authorized under FISA? Sen Ron Wyden (D-OR) first asked this question over three years ago and government officials have never produced an answer. Congress should insist upon finally getting answers to its questions before considering any potential extension of FISA's expiring provisions. From how many Americans have NSA programs collected information? Government officials have had years to answer that question. But that's just one among many questions that must be answered by a long overdue congressional investigation. How many times—and in which particular cases—has NSA data been used to circumvent the evidentiary rules of the criminal justice system? How many times has the FBI used NSA databases to find records about U.S. persons? How many times has the Internet dragnet enabled surveillance of peaceful groups and individuals pursuing constitutionally protected political goals, or the former lovers of NSA personnel or government contractors? We know that Internet spying has already imposed chilling effects on Americans impacting how we use the Internet, what we read, and how we relate to our friends, our communities, and organizations that we support. The underlying questions are ultimately unanswerable: how many Americans have silenced themselves, and what harm has our democracy suffered as a result? As Congress takes action to fulfill its oversight responsibilities by investigating and determining answers to these questions, it should also insist that the Executive branch release any other relevant documents. In particular, officials should provide any legal opinions and analyses about the Section 702 programs, and also declassify all relevant documents sent to Congress when FISA was passed, when it was reauthorized in 2008 and 2012, and any further documents shared with Congress since then. Without that information, and answers to the questions above, Congress remains unqualified to extend any surveillance authorities, including FISA Section 702. Members of Congress should defend their own prerogatives—if not the rights of their constituents and Internet users around the world—by insisting on both transparency and substantial reform before re-authorizing FISA's expiring provisions. At a minimum, those reforms should impose constitutional limits on government surveillance, and meaningful congressional and judicial oversight of any programs used to monitor Internet use, traffic, communication, or data. 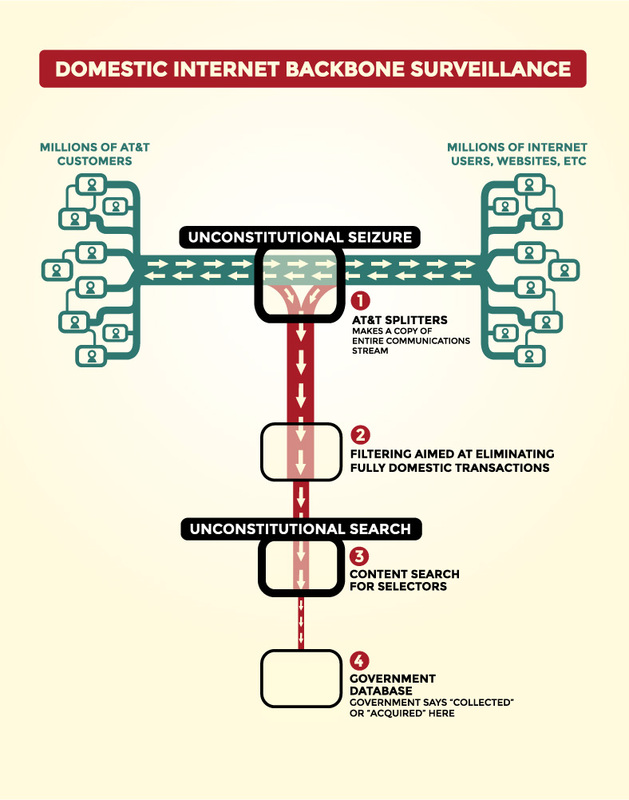 Absent such reform, EFF calls on Congress to let Section 702 expire as scheduled. And we're proud to stand with allies across the digital rights movement, including the ACLU, Access Now, Freedom of the Press Foundation, Bill of Rights Defense Committee/Defending Dissent Foundation, Human Rights Watch, Government Accountability Project, Calyx, Niskanen Center, Arab-American Institute, X-Lab, RootsAction, Fight for the Future, Campaign for Liberty, and Restore the Fourth.